Diamonds are a girl’s best friend, but unless you’re careful about choosing the right kind, they might just become a fair weather buddy. Here are the four essential C’s of buying the perfect stone. A diamond’s shine comes from the light that enters its top and gets reflected and refracted around its body. 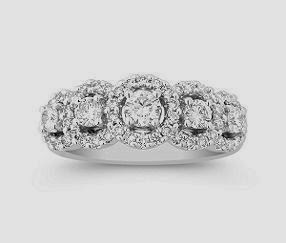 So if you want that bright, luminescent ring, it’s very, very important that you pick one cut to even proportions and polished rigorously for symmetry and sparkle. 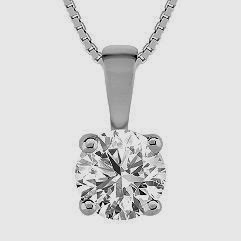 The ideal diamond is colorless, allowing that all-important light to pass through it and shine brightly. Those tend to be quite expensive, however, so you’ll probably need to settle for something called “near colorless” or “faint yellow” on the diamond color scale. Imperfections on the diamond’s surface are called “inclusions.” They don’t have to be very big; in fact, most are completely unnoticeable unless viewed under 10x magnification. 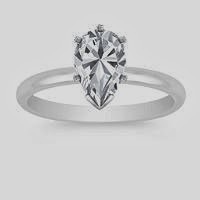 But the number of inclusions can have a significant effect on the diamond’s shine, value and price. Ready to propose? Or maybe you’re just looking for a birthday gift that will knock everything else out of the park. Either way, you should make sure your chosen diamond has a carat weight suitable for the big occasion. The heavier the stone, the more it’s worth. These are the four most common criteria for selecting a quality diamond. There are other things you can look for as well, but unless you have years of experience and training, these requirements will be the easiest to meet.